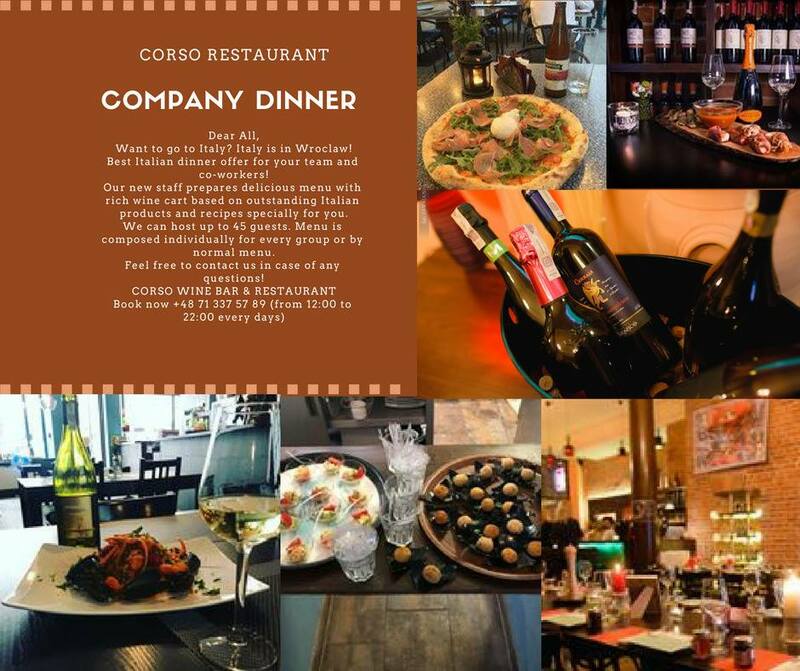 Poland is famous for its varied landscapes, cuisine and difficult history. To this juxtaposition, it is worth adding Polish writers whose books became famous on the international arena of literature. The hero of The Doll is Stanisław Wokulski, a man with two faces. On the one hand, a rationalist firmly on the ground, on the other hand a romantically enamored idealist. She, Izabela Łęcka, a typical woman of her time, separated by a wall of conventions from real feelings, but thirsty for those feelings. But The Doll is not only a novel about the unhappy love of a new entrepreneur from a high class lady. It is a story about a world in which one has to stick to assigned roles, a world deeply divided by clear, though invisible borders. 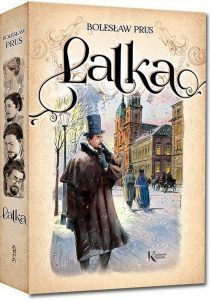 The Doll is an epic scale, nineteenth-century Warsaw, glitz and dirt, wealth of characters and pulsating life. When Kris Kelvin arrives at the planet Solaris to study the ocean that covers its surface he is forced to confront a painful, hitherto unconscious memory embodied in the physical likeness of a long-dead lover. 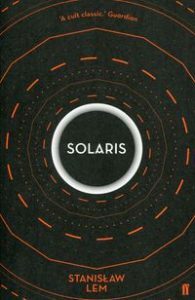 Others suffer from the same affliction and speculation rises among scientists that the Solaris ocean may be a massive brain that creates incarnate memories, but its purpose in doing so remains a mystery.Solaris raises a question that has been at the heart of human experience and literature for centuries: can we truly understand the universe around us without first understanding what lies within? With Fire and Sword is the first historical novel from the series called the Trilogy, which also includes the Deluge and Sir Michael. The action of the novel takes place in the years 1648-1651 during the Khmelnytsky uprising in Ukraine. 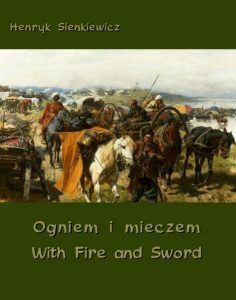 Dramatic historical events from the history of the Commonwealth are intertwined with the fate of heroes brought to life by Henryk Sienkiewicz: Jan Skrzetuski, Helena Kurcewiczówna, Jan Onufry Zagłoby, Longinus Podbipięty and Jurko Bohun. Thanks to the author’s genius, the characters became authentic in the eyes of the readers, and their fascinating fates found an important place in the national consciousness of the Poles. With Fire and Sword, issued in 1884, it played a huge role in the formation of patriotic attitudes in the final period of partitions, and thus in the revival of independent Poland. 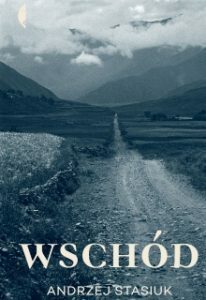 In this bitterly funny novel by the renowned Polish author Witold Gombrowicz. a writer finds himself tossed into a chaotic world of schoolboys by a diabolical professor who wishes to reduce him to childishness. Ferdydurke became an instant literary sensation and catapulted the young author to fame. 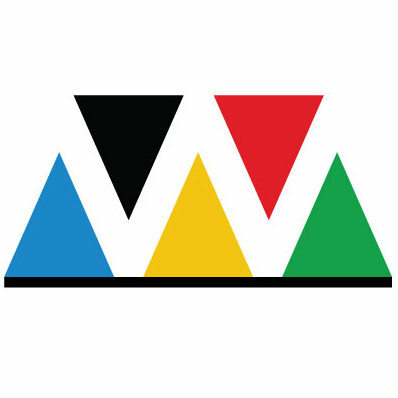 Deemed scandalous and subversive by Nazis. Stalinists. and the Polish Communist regime in turn. 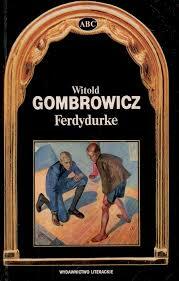 the novel (as well as all of Gombrowicz’s other works) was officially banned in Poland for decades. 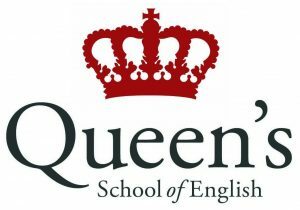 It has nonetheless remained one of the most influential works of twentieth-century European literature. The Witcher is a sword master and a witch’s expert guarding the moral and biological balance in a wonderful fantasy world. 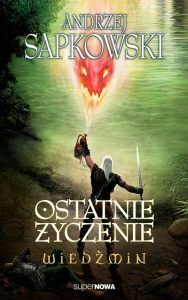 By Sapkowski’s will into this world full of monsters and lush characters, complicated intrigues and exploding passions Geralt brings our problems, mythologies and a modern point of view. He becomes a spectator and a hero, an accused and a judge, a lover and a jester, a victim and an executioner. This is the first collection of stories from the world of The Witcher. The next is the Sword of Destiny, followed by Saga (starting with Blood of Elves), which can also be read separately. Tokarczuk is considered by many to be one of the best Polish authors writing today. House of Day, House of Night is her sixth book, but the first to be translated into English. 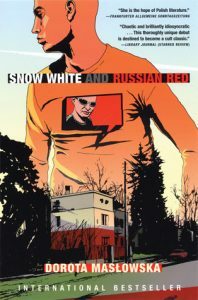 It is a collection of interlocked stories and observations set in and around the town of Nowa Ruda. “If death were nothing but bad, people would stop dying immediately,” says one of the neighbours, Marta. Past and present, dreams and reality, life and death, all merge in this delightfully inventive prose about ordinary human lives. 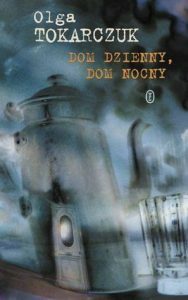 Chaotic, surreal, vulgar, darkly comic, and breathtaking, Masłowska’s debut novel became a best-seller shortly after its publication in 2002. A monologue by a tracksuited slacker in search of the next girl and a line of speed while the Russians are taking over the local black market. Is the war coming or are these drug-fuelled delusions? Fiction like a roller coaster. It is a story of contemporary Turkey, a country torn between East and West, Islam and Islamophobia, permeated with both conservatism and post-modernity. As he travels across Turkey, Szabłowski heads for the most remote villages and towns to meet young women who have fled from the threat of honour killings, wives forced by their husbands into prostitution, a family of immigrants from Africa who dream of a better life, and Kurdish journalists and freedom fighters. 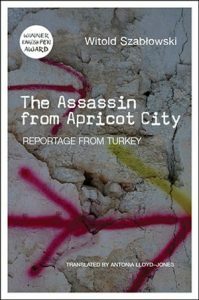 A polyphonic portrait of Turkey today, The Assassin from Apricot City masterfully evokes present-day dreams and hopes of ordinary people, weaving a story from their potent, mesmerizing tales. From the earliest days of his poetic career, Tadeusz Rózewicz found a unique, pared-down style that consciously avoided metaphor and sought a new, painfully clear voice in which to express the horrors of wartime experiences. His work was immediately recognized as new and vital in Polish poetry, and he came to be regarded as one of the most important writers of his generation. 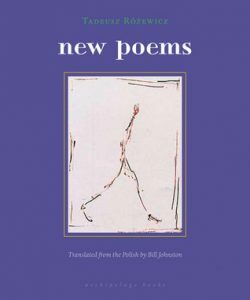 New Poems is a collection of Rózewicz’s three latest volumes in their entirety: exit (1998), the professor’s knife(2001), and gray zone (2002). Galicia was a district of the Austro-Hungarian Empire encompassing southern Poland and western Ukraine, which Stasiuk recreates on his travels, encountering all sorts of fascinating characters on the way. Like Tokarczuk, the prodigiously creative Stasiuk likes to investigate the hinterlands and the rich seam of stories buried therein. He, too, is one of the forerunners of contemporary Polish literature, highly regarded in Germany as well as his homeland.